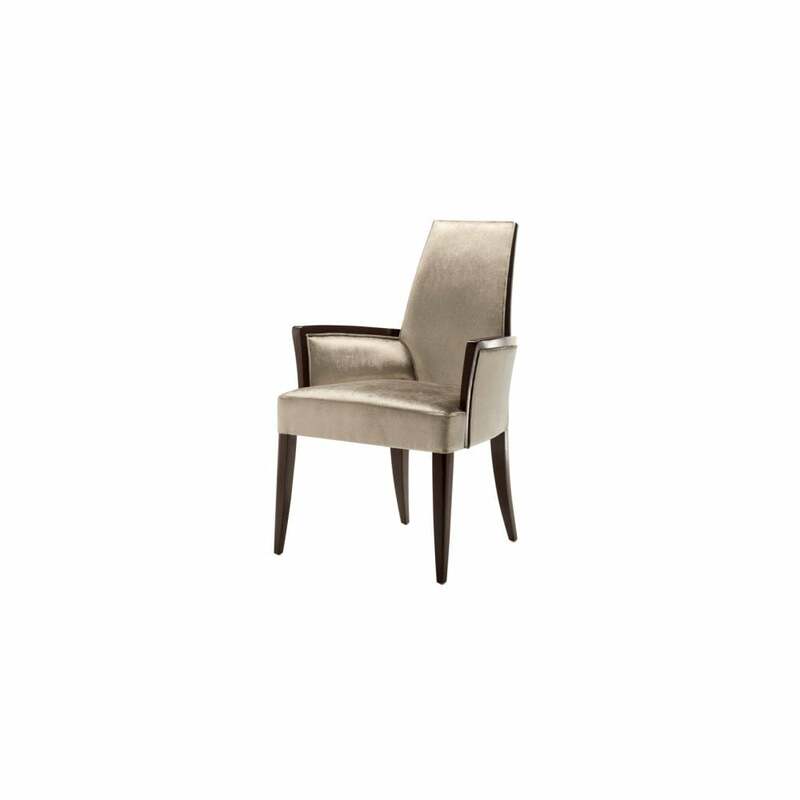 Absolute luxury and ultimate comfort perfectly describes the Vendome Dining Armchair. Combine this with high quality artisan craftmanship and you have a very desirable piece of furniture. Fully upholstered on a solid beech frame, the contrasting colour and texture of materials is eye-catching, along with the beautiful flow of tapered shaping of the chair and legs. This is a dining chair has a real pull, guaranteeing an extremely comfortable and luxurious dining experience. Create a stunning dining set by combining with the Tosca or large Heritage table, your ultimate centre piece.